It’s that bittersweet moment at every Birankai Aikido Summer Camp when we roll up the mats, pack up most of our stuff and get ready for the farewell party. 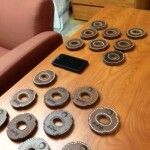 One more class tomorrow then we fly, drive, ride the subway or otherwise make our way home. It’s been a very positive event, with record numbers on the mat for an East Coast Birankai summer camp, positive financials and strong training with no serious injuries so far. We were joined by Birankai members from across the U.S. and Puerto Rico, and welcomed visitors from countries including Switzerland, Brazil, Chile, Mexico and Canada. Special guest and excellent Birankai friend Yoshimitsu Yamada Shihan of New York Aikikai led a dynamic and enjoyable class on Saturday. 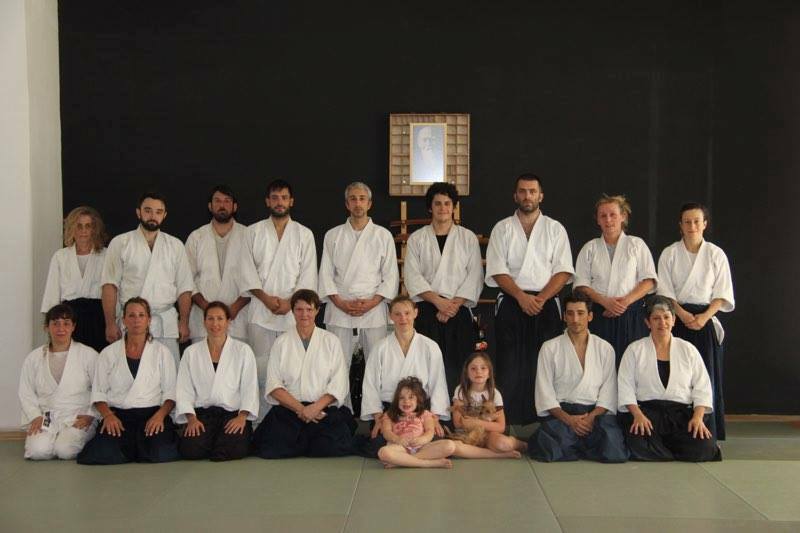 Our Birankai shihan and shidoin collaborated to create a thematic curriculum for the rest of camp with a focus on connection and centeredness. Now for the raffle, our ultimate test of stamina and concentration. See you all at the party! 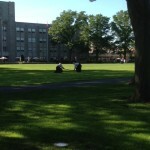 Summer has arrived, with 90-degree temperatures and steam-bath humidity. We of Birankai North America are not holding back! 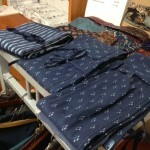 *Mushiatsui is Japanese for “hot and humid.” Uttered approximately 10,000 times per summer season in Tokyo! Make sure to check the BiranOnline channel on Youtube for new videos as camp continues. Pick up your dojo’s copies here at camp and appreciate anew the writing skill and thoughtfulness of our Birankai community. 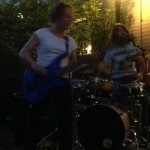 We can throw down and write poetry, too! 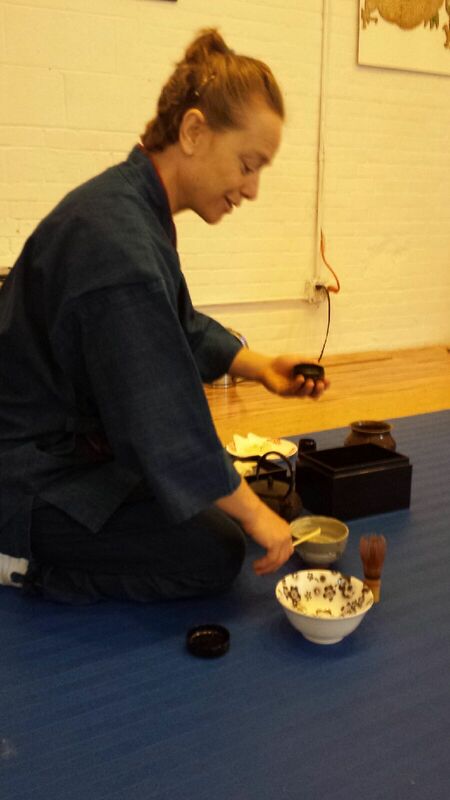 Katherine Heins Sensei practices tea ceremony at Fire Horse Aikido on June 5, 2016. Looking ahead to summer camp after a year of mourning, there’s a lot to be hopeful about in Birankai North America. What makes me particularly optimistic is the impressive crop of junior instructors coming into their own, both leading dojos, supporting senior teachers and giving seminars. Philip and Bernadette Vargas Sensei of Aikido of Albuquerque are great examples of Birankai teachers who show leadership on the mat, off the mat and in their community. 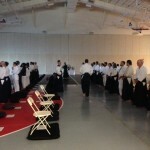 The Vargases took center stage at the first-ever Birankai Aikido Southwest and Rocky Mountain Regional Seminar in April – the group photo at the top of the page is from that event. 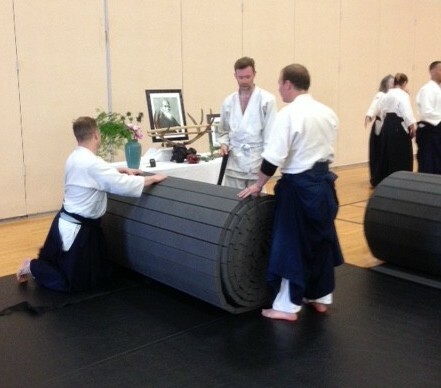 Fire Horse Aikido hosted another impressive junior instructor, Kate Savoca of Brooklyn Aikikai, earlier this year. She knocked our socks off with her crisp technique, clear instruction and dynamic energy. Check out the videos at the BiranOnline channel on Youtube. Just this past weekend here in New Haven, we hosted Katherine Heins Sensei for three days of special training before summer camp. With her background as both Chiba Sensei’s kenshusei and a seven-year resident of Japan, Heins Sensei brings invaluable experience and true talent to Birankai. Heins Sensei’s intensive training in Japanese tea ceremony — closely linked to Zen and martial arts — comes through in her direct, uncluttered approach to technique and practice. She has also been doing some serious thinking about how to transmit Chiba Sensei’s Aikido; she focused her classes this weekend on drills to bring out difficult concepts in ukemi and weapons that benefited students and teachers of all ranks. Below are some clips of Heins Sensei’s teaching on back falls this past weekend, breaking down the movements and recalibrating posture to prevent injury. Below that is a clip she prepared of front-roll exercises. Heins Sensei is on the core team of instructors at Birankai North America Summer Camp starting on Thursday – don’t miss it! Mrs. Chiba and visitors at a memorial lunch at Chogenji temple in Japan. 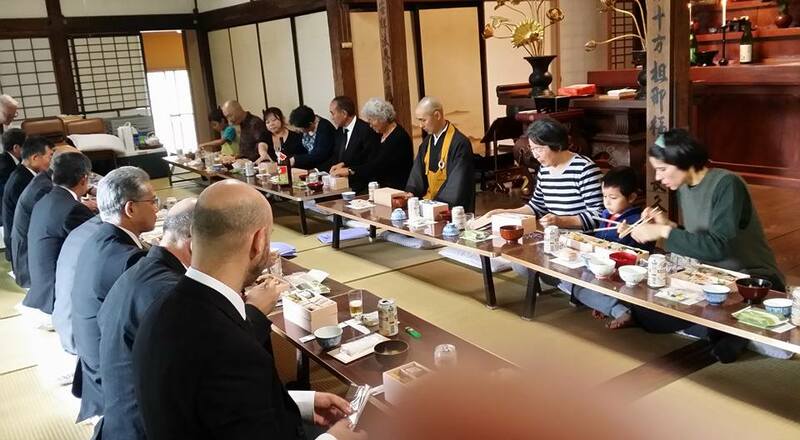 Dojos around the world held memorial events for Chiba Sensei this weekend as Mrs. Chiba, family members and students marked the date of his passing at Chogenji temple. 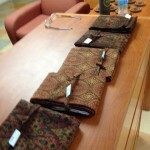 Below are a few photos posted from events worldwide. Memorial practice at Athens Aikido in Greece with Jenny Flower and Diane Deskin. 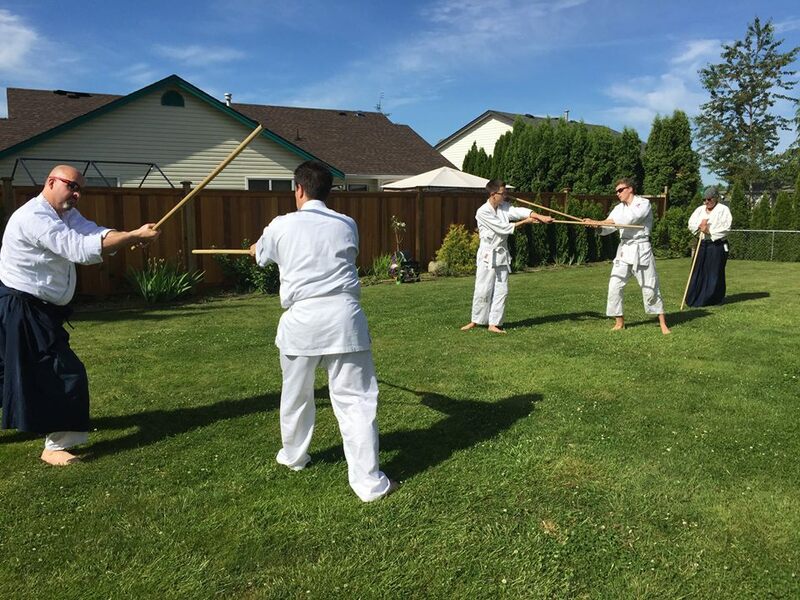 Outdoor training at Aikido Takayama in Mission, B.C. 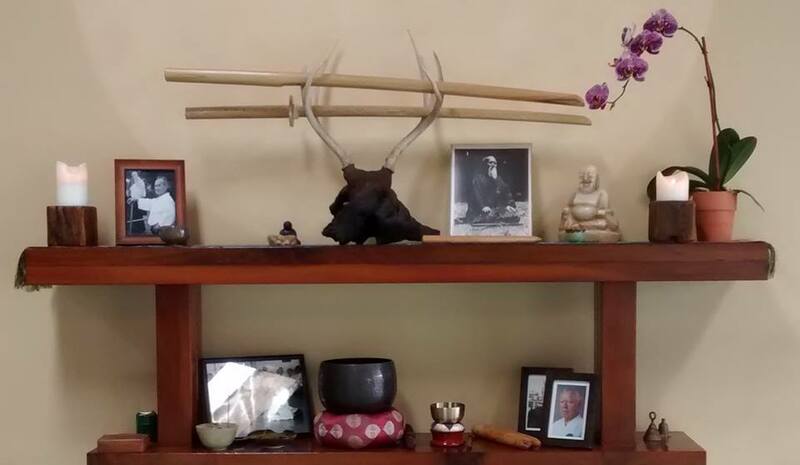 Memorial kamiza at North County Aikikai in Solana Beach, California. 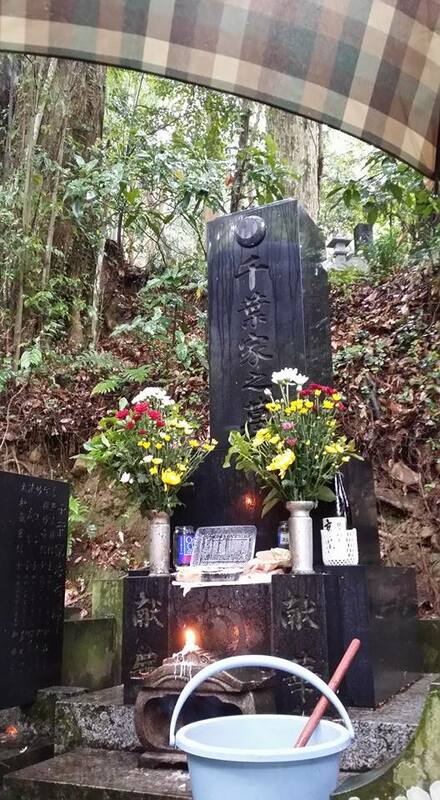 Chiba Sensei’s grave in Kannami, Japan.